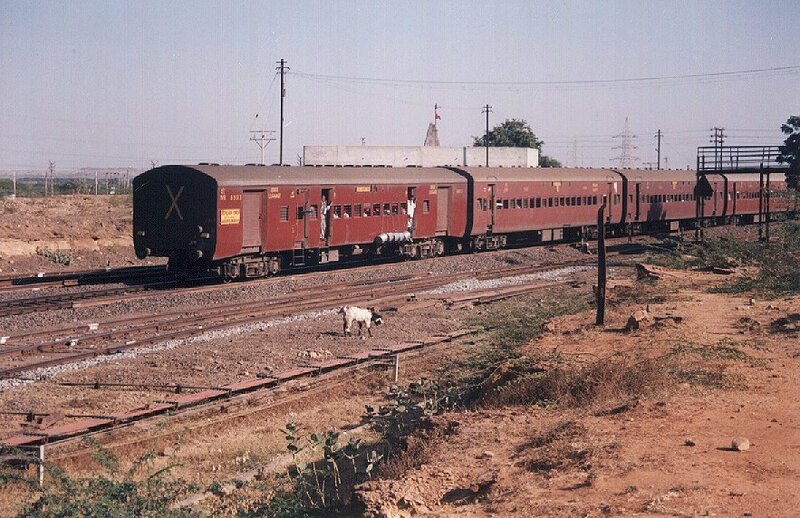 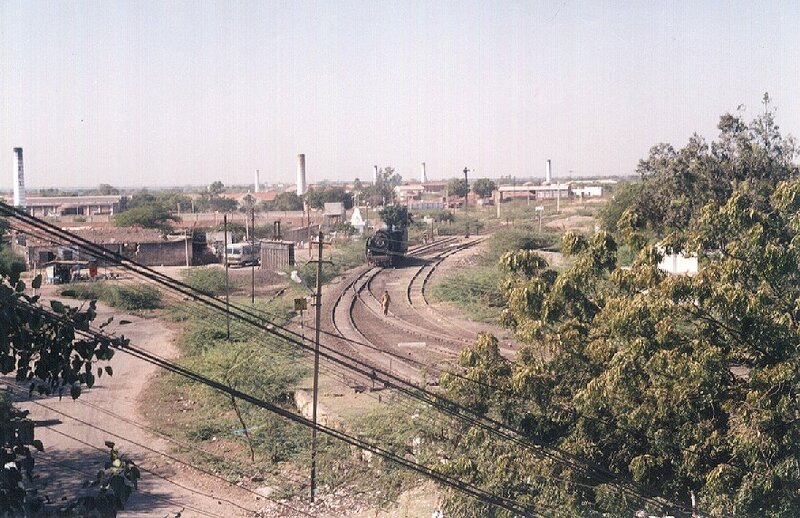 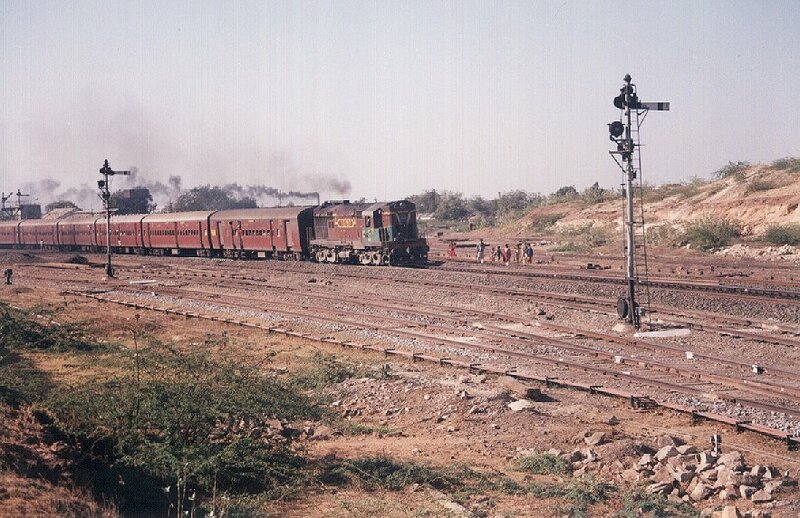 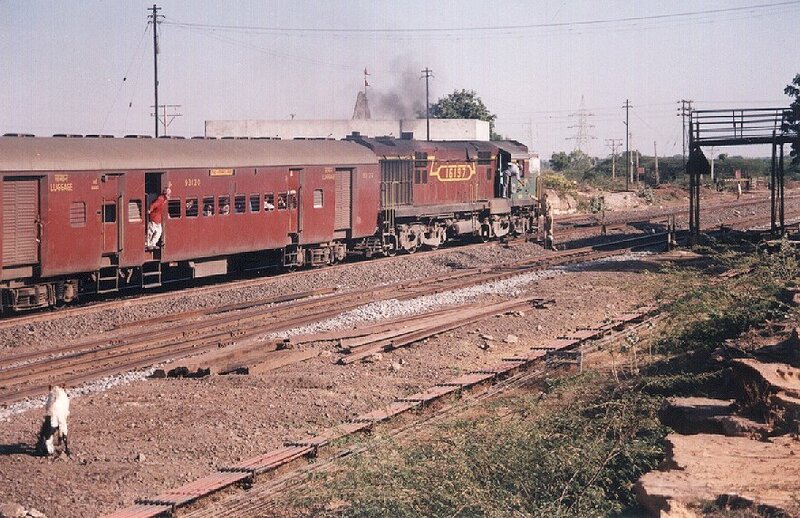 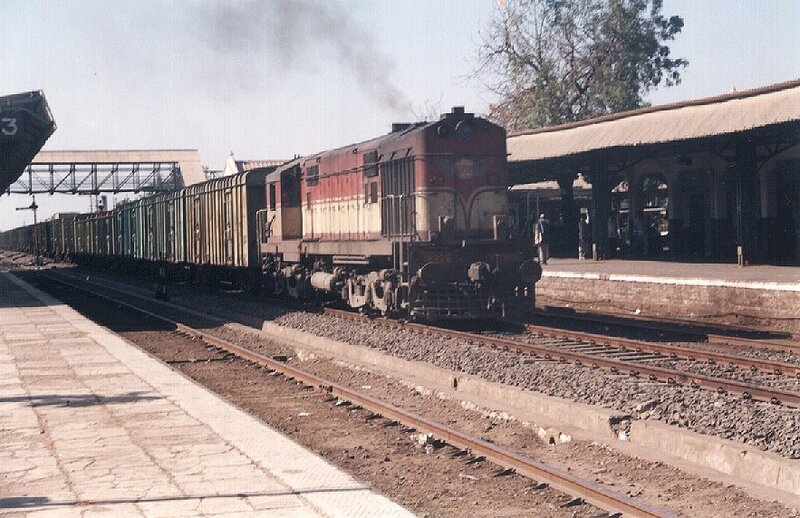 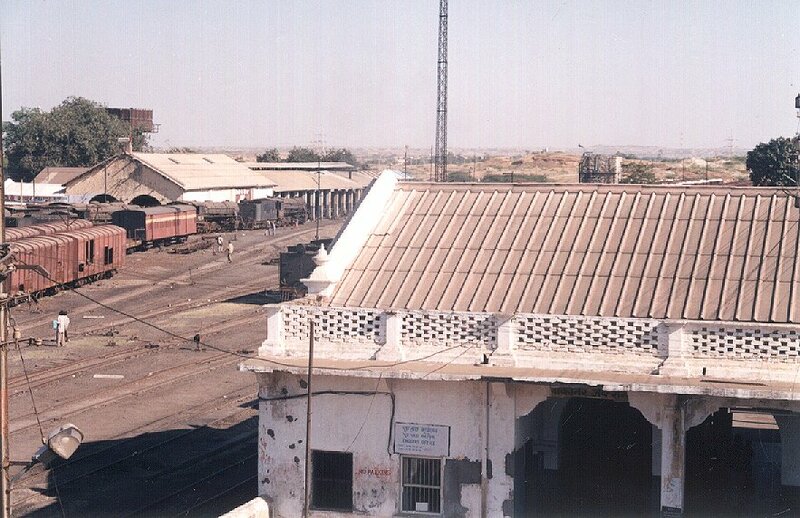 Ratlam shed WDM 2 brings a BCN load through the BG part of Wankaner Jn. 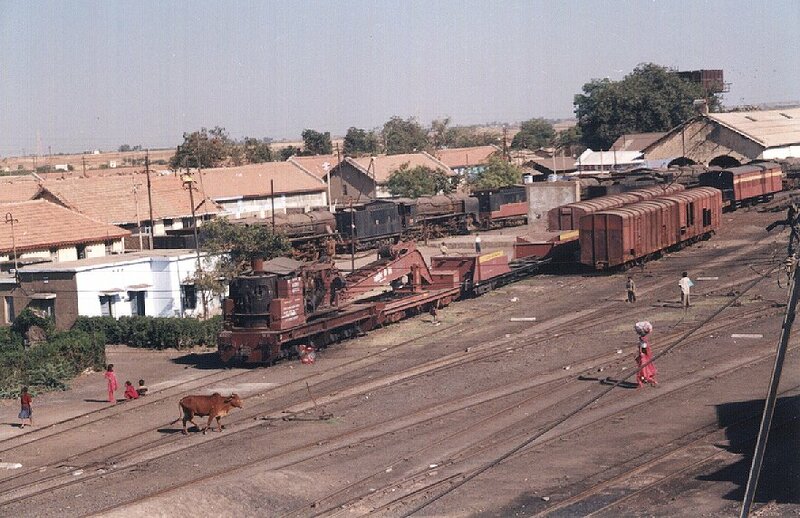 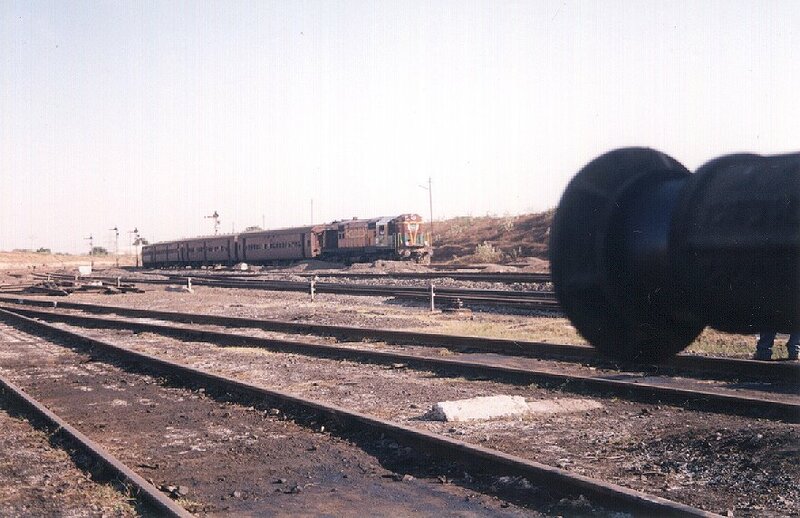 The accident relief rake and the locos waiting to be scrapped. 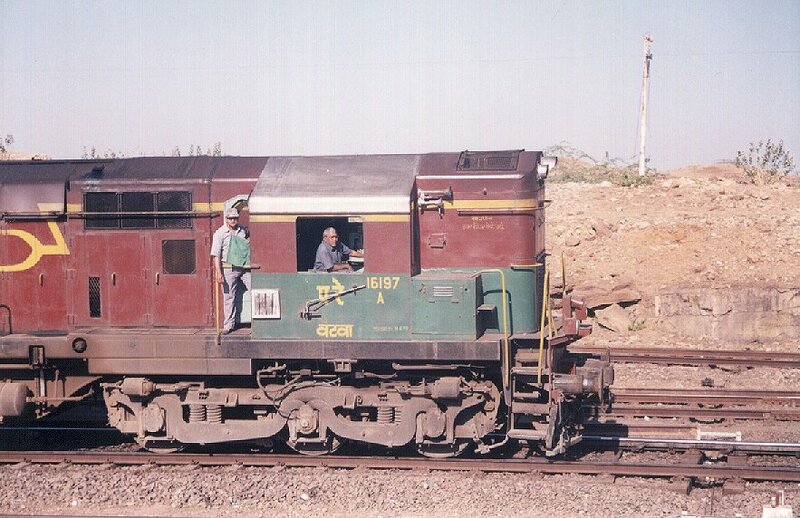 A detailed view of the Vatwa shed WDM 2A # 16197 and its friendly Rajkot division crew. 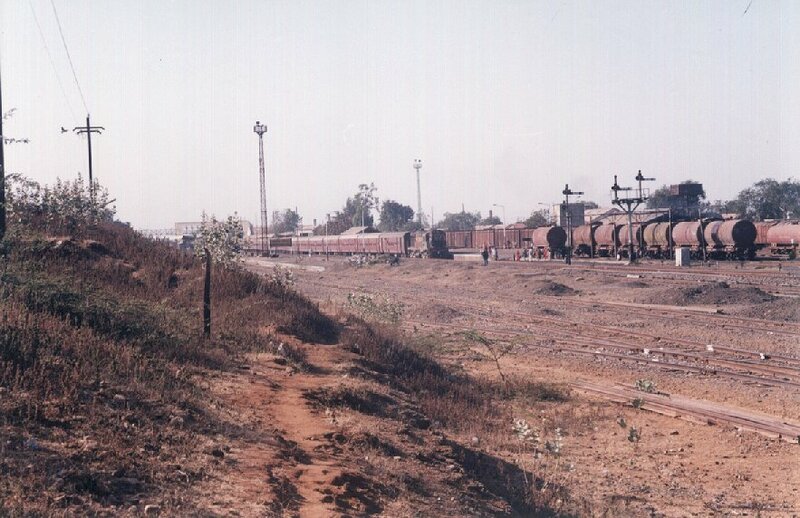 The train accelerates out of WKR towards Than, note the empty milk cans hung outside the windows.